Collecting autographs has been one of the most popular segments of the hobby for decades. One of the themes that many collectors are drawn to is single-signed baseballs of the All-Century Team. The team, which includes the biggest names in baseball history and the greatest players at each position, was put together by a panel of experts in 1999. From a collector perspective, this team is even more exclusive that the Hall of Fame itself, which means the autographs are in extremely high demand. In the following article, we dig deeper into this prestigious collecting theme. Collecting Gordie Howe Cards – A Tribute to "Mr. Hockey"
Although not as popular with some collectors in comparison to the 1948 and 1950 Bowman issues, many also feel that the 1951 Bowman set is comparable. This issue is home to rookie cards of some of the finest players who have ever graced the field; Tom Landry, Emlen Tunnell and Norm Van Brocklin, just to name a few. This set carries a rating of 8.77, with a Finest Possible of 8.96 it is no surprise that this set won Best of the Registry for 2012 & 2013. Click here to view this set. Steiner Sports is excited to present their "Unbreakable Auction" which is currently live. This auction is in full swing and hundreds of new items have been added! With an amazing selection of stat baseballs, vintage autographs, game-used and graded cards this auction truly has something for every type of collector. Two impressive NBA Championship Rings belonging to the great John Brian "Johnny" Moore, will be coming up for auction this summer. The rings were acquired by Worthridge from Moore’s private collection, and will be a part of their debut Sports Memorabilia Auction. PWCC is offering 6,000 High-End Lots, Spanning all Sports and Genres at auction. PSA Authorized Dealer Steve Novella (Estero, FL.) will be breaking a Fantastic 1968 Topps Baseball Master Set card by card on eBay. Set Break features 350+ PSA 10's and nearly 250 PSA 9’s. This auction include high quality and scarce vintage cards from iconic sets such as 1887 OLD JUDGE, T206, T207, 1932 U.S. CARAMEL and many more! 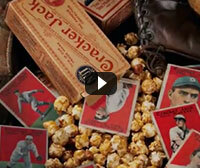 Featuring a 1909 E92 Dockman & Sons Honus Wagner and High grade 1948 Bowman Warren Spahn RC. 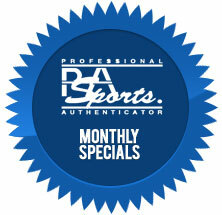 Auction also includes PSA/DNA Certified Jerseys, Cards, Balls and more! Value aside, which of the following All-Century Team single-signed baseballs would you want to own most?